Wilson's Natural Landscaping, LLC is Growing! Now Hiring Landscaping Technicians! Wilson's services the Charlotte - Metrolina and surrounding areas. Our team is expanding, and we need to hire hard-working, dedicated people. If working in a fast-paced and creative environment while staying mindful of your surroundings sounds exciting to you, take a moment to apply. If working with your hands brings you back to nature, you'll love seeing the results of your job. We transform our customers' yards from mundane to jaw-dropping, and we take pride in what we do. Are You Ready to Start Your Landscaping Career? The best candidates for this job will be driven, motivated, and eager to learn the industry. We offer opportunities for growth within the company to those landscape technicians who prove their value. Sales education, management, and oversight are possible career paths. 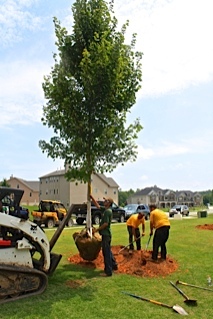 If Wilson's Natural Landscaping, LLC sounds like the place for you, fill out our contact form. No prior experience is required, but it is preferred. On the Job training available for the right people. Must have a clean background. Must be able to pass a drug test. 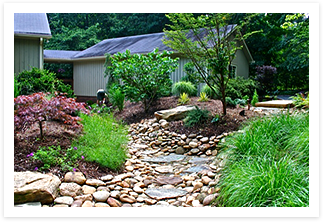 If Wilson's Natural Landscaping, LLC is right for you, we encourage you to fill out our contact form. Be sure to include in your message that you are interested in a job opportunity. We will then call or send you an email requesting any further information or to set up a meeting.